I had the pleasure of interviewing Dr. Jeremy Brook. 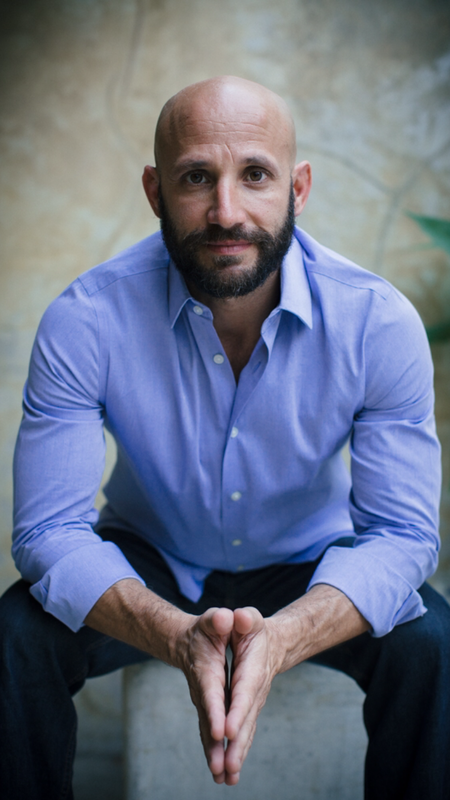 Dr. Jeremy Brook is a Los Angeles Chiropractor, yogi, and movement specialist, whose mission is to create excellence in human performance and elevate consciousness in how we approach life from the way we move, breathe, move, feed our bodymind (one word), and rest, to the way we connect to others. Dr. Brook is also the founder of The Life Center Chiropractic, a unique performance enhancement center that incorporates the disciplines of chiropractic, spinal corrective protocols, yoga, and other movement art forms to make sure the spine, body, and mind are aligned. 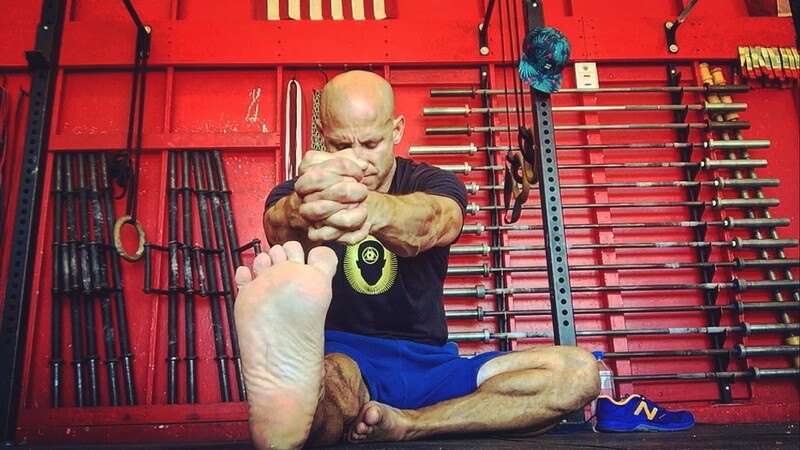 When he’s not “spinechecking,” adjusting, teaching, or making instructional videos, he can be found on his yoga mat, lifting weights at Deuce Gym, and slacklining between palm trees on Venice Beach. About 24 years ago the the course of my life took a dramatic …and painful turn…on a rugby pitch. So I’m a biology major at UC Irvine, because I was getting my prerequisites so I could ultimately go to chiropractic school. Little known fact I wanted to be a chiropractor since I was 8 years. Here’s a little relevant digression. My dad had injured his neck while chicken fighting in a pool when I was one year old. He was so messed up he couldn’t move his neck and a chiropractor corrected his problem. He thought the world of chiropractic! When I was 8 years old we began going to the chiropractor as a family to get adjusted. It was one of the main ways we stayed in alignment. It was at that point in time that I knew I wanted to be when I grew up was a chiropractor. Done …. Flash forward….so we’re back on the rugby pitch my junior year in college….UCI playing USC. I find myself in a one on one open field tackle opportunity. I misjudged the tackle and ended up taking a knee to the nose….demolishing my nose…..cracking my skull at the same time. I was stunned…play continued on the other side….and then USC launched an attack my way….there I was again in another one one situation. Realizing that my nose was badly broken … I tried to avoid getting my face in the way and this time made the tackle but exposed my neck and shoulder. Now damaging my neck and shoulder. Brutal! First time in my life that I lost something I identified with as my main identity….my strength. As a result of this injury I lost strength and movement in my left shoulder. There was a physical therapy center who sponsored the rugby team so I went to them to get sorted There I received therapeutic exercises, ultra-sound, stretches and massage. Nothing really helped so I went to an orthopedist who gave me a prescription of painkillers and told me ultimately if the pain in my shoulder did not go away, surgery was the next step. Well one holiday, while staying at my parents I took my evening Vicodin so I could go to bed. I wake up in the middle of night with incredible abdominal pain and spasm. My body was all spasmed up. I tried to just with it but the pain was too great. Like a soldier crawling under barbed wire I made it to my parent’s bedroom where I moaned in agony. They rushed me to the hospital where I was given activated charcoal and something else to relax my bowels… and then pain subsided as fast as it was brought on. Now something interesting ….during this 2 year period I stopped going to the chiropractor because I thought the PT would do the trick. After I got home from the hospital I called up my very first chiropractor from when I was 8 years old…I saw him that day….He took x-rays of me …adjusted the first bone in my neck, along with a bone in my lower neck and a rib near my shoulder that were out of alignment putting pressure on my nerves… and just like that I could move my arm better than I had in 2 years! I can’t tell you what that did for me physically……emotionally …and spiritually. 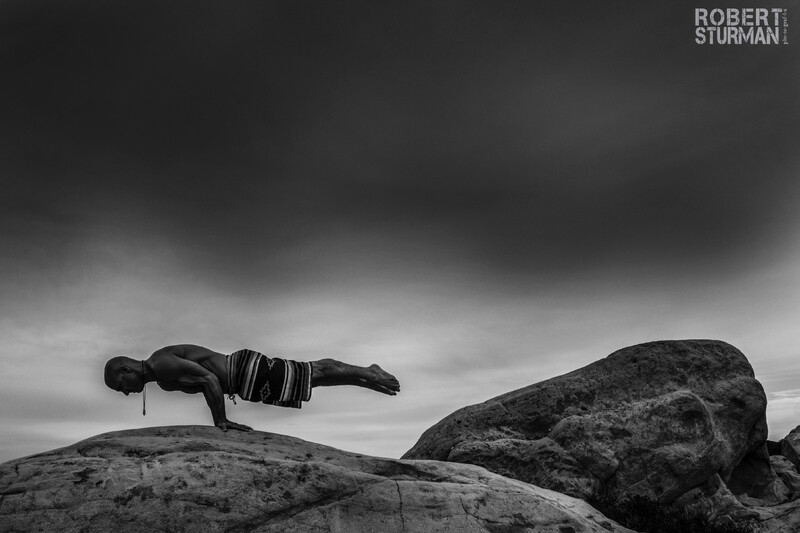 During this 2 year period, since I was no longer able to workout, box, lift weights….I began taking yoga…not power yoga….but slow gentle yoga. I was hooked and my journey into yoga was born. Still practicing 20+ years later. One year later I started chiropractic school….and began forming the early foundations of what would later make up the core healing system at my performance enhancement center The Life Center Chiropractic….where we integrate chiropractic with yoga and other non-traditional movement art forms. And that’s why I’m so passionate about what I do. Because people are in pain or struggling with an illness and they’ve lost a piece of themselves along the way and I want to make sure that they know there’s another way to reconnect and recover their health, their function. Chiropractic evolved from being a cool job in the eyes of an eight year old to a passion… mission….and obsession. That’ a great question. The first thing that comes to mind is compassion, empathy, sympathy and understanding. Fortunately I’ve had first hand experience with a spectrum of human challenges from physical to emotional. Pain strips you down naked to your core. From the low points in my life I’ve found ways to rise to the occasion and overcome the adversity. Challenges are opportunities for growth and development. I’m in the business of growth and development so I welcome challenges to evolve as a human, chiropractor, teacher, guide and facilitator. Life is a great teacher. Can you share five pieces of advice to other doctors to help their patients to thrive? This is deep work. Figure out what your vision, mission and purpose is. Be rock solid on that. Commit to ongoing training in your field of specialty. Be radical in your pursuit of knowledge. Be ferocious in the area of skill development. You may be the last hope for the patient coming to you. Develop a morning routine to center and ground yourself. Cultivate a practice involving meditation, breathing techniques, and yoga as the core practice. Design a “work” schedule that allows time for your rest, recovery and play. You need to feel fresh, recharged and inspired for a lifetime off serving your tribe. You gotta know your boundaries. Schedule time for fun and tap into the heart as often as possible. Get out of your head and drop into the heart. This is hard work but It will help flush out lower vibrational states of worry, fear and anxiety. This is key! It can only help, because I practice what I preach. I walk my talk. I’m not just a doctor, not just a teacher. I’ve walked in my patient’s shoes and I know how it feels. I understand the demands, the commitment, the dedication, and the time and energy requirements for a person to recover, maintain, and elevate their health. But not everyone wants to do the hard work, so in that case, my story may deter them. (he laughs). I love learning from many sources. So I created a curriculum for myself spanning diverse topics from chiropractic techniques, various angels of anatomy from traditional to sacred to occult to geometric to biomechanical. I’ve explored different theories, styles and approaches to movement like Yoga, CrossFit, Olympic Weightlifting. I’ve added balance training to my practice like slacklining and Indoboard play. Even though I’m in in the healing arts, I’ve found inspiration in martial arts… stick and knife fighting. It helps to know how the body breaks down if I have to help facilitate the reconnecting of it. And randomly, I’ve become absolutely fascinated with evolution, anthropology, ancient civilizations, and sacred sites which had opened a new understanding of the origin of life and mankind. And since we live in a world where science dominates, I like to keep my finger on the pulse with the latest in neuroscience and stress physiology. Put all of this in a supercomputer and you’ll get a glimpse of what I’m about. As an evolutionary change is taking place in our health care in America, a shift of awareness is empowering people to take responsibility for their own health. As our society looks back, we realize that “health care” as we once knew it, was actually not about “health” at all, but rather about the treatment of symptom, sickness, and disease. And for many years, feelings, intuition, and spirit have been ignored. Today is a time when we desire to appreciate the natural rhythms of life, rather than technological advances that mask symptoms through chemical and genetic manipulation. A time when we discover how to honor the inborn wisdom and potential of each and every human being.